Inspired by mountaineering gear of the past, “The Camper” is the first product Sketchbook Crafts has put into production. There are four pockets on the outside, two of which are covered. The main compartment opening rolls up and snaps to leather straps which are adjustable in height to accommodate both large and small loads. These straps are also removable and can be reconfigured to use the bag expanded or even completely unrolled. 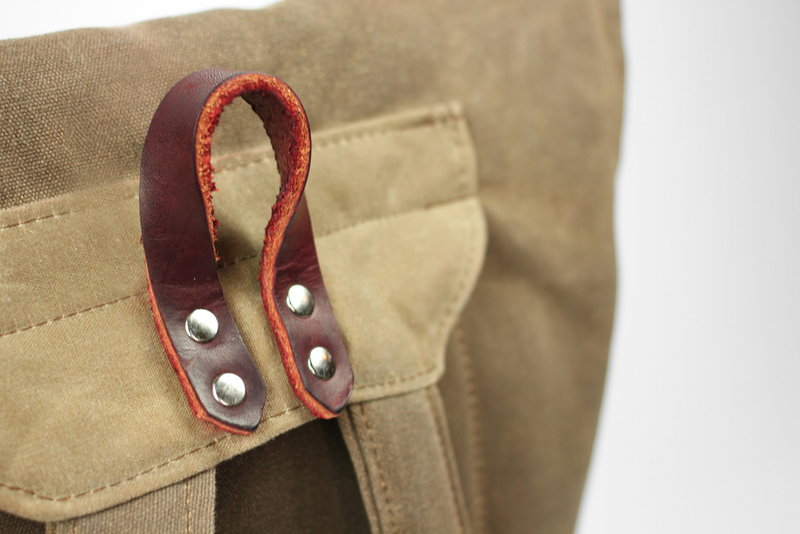 It is made with heavy-duty waxed canvas and vegetable tanned leather, which is all natural and sourced in the USA. The rustic brown color in combination with the dark red leather straps make this an understated, highly durable eye-catcher. Check out other products by Sketchbook Crafts and get your own handmade backpack.